What do Cognitive Science and Surrealism have in common? Albert Barque-Duran is a PhD researcher in Cognitive Science, investigating the application of alternative mathematical methods to understand patterns in human cognition and to model them. He is also an artist. 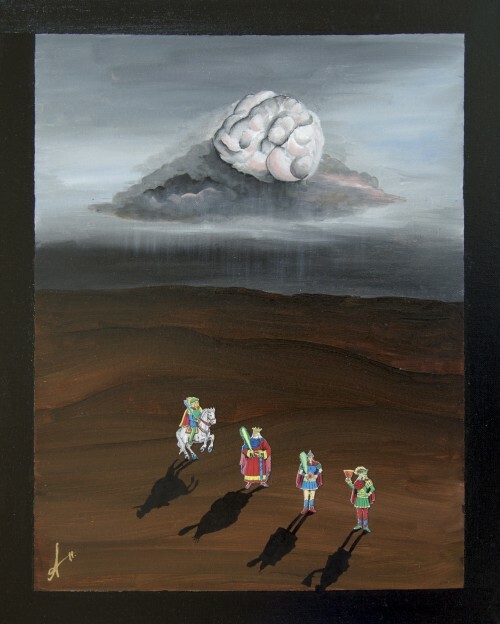 Inspired by his scientific research, his artwork proposes a reinterpretation-actualisation of the surrealist movement through the contemporary knowledge about the human mind. In this exclusive interview he discusses both his art and scientific work. Can we begin by you saying something about your background? Albert Barque-Duran: I am a researcher that investigates the application of alternative mathematical methods to understand patterns in human cognition and to model them. Understanding the computational principles that guide human decision-making is of obvious significance. Specially, I am interested in the incremental steps arising from present technologies that suggest a need for ethical decision-making capabilities and how the research on human-machine interaction feeds back into humans’ understanding of themselves as moral agents, and of the nature of ethical theory itself. The particular characteristics of human decision-making are a fundamental aspect of what it means to be human. I am also an artist. 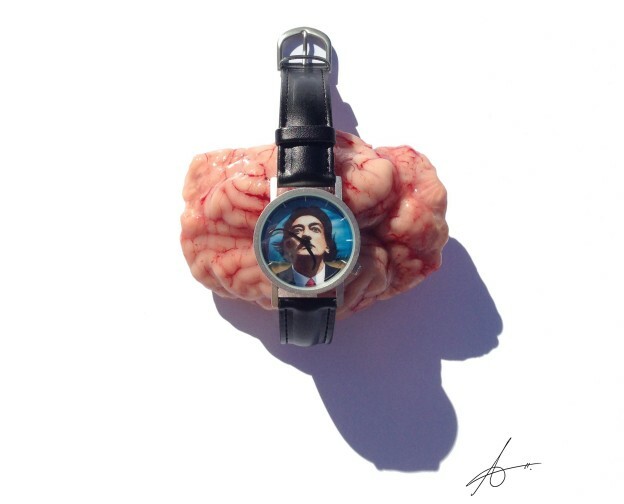 What do cognitive science and surrealism have in common? My artistic work proposes a reinterpretation-actualization of the surrealist movement through the contemporary knowledge about the human mind. My paintings are inspired by my scientific research. A number of your artworks reference Surrealism. 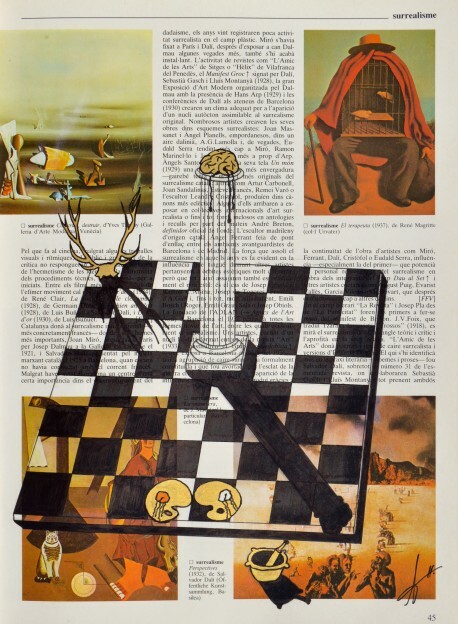 Surrealism sought a revolution against the constraints of the rational mind and in doing so borrowed techniques from psychoanalysis to bring to the surface subconscious thoughts to stimulate their writing and art. What role does the subconscious have in your work (both academic and artistic)? AB-D: There is a strong link between cognitive science and surrealism. Scientific knowledge has made glorious and significant advances since the Freudian studies on irrationality and the unconscious (fundamental pillars in the manifestos of this artistic movement). My work proposes a reinterpretation-actualization of the surrealist movement through the contemporary knowledge about the human mind (i.e. my academic research on decision-making and behavioural science). The unconscious affects my (our) everyday perception and behavior. Thus, unconscious processes are present in all my work. As an artist, but also as a scientist doing research in decision-making, I’m aware that unconscious processes heavily influence the way I perceive, make judgments and behave. Experiences from my past (memory), my current mood (emotions) or my goals (decision-making) appear involuntarily/unconsciously in my paintings. The piece The Awakening of a New Day represents a good example of this. Imagery in science is primarily used to communicate findings and, in some sense, can be seen as being both ‘illustrative and ‘provocative’. Would you say that your images are ‘scientific’? AB-D: I cannot imagine Science without Art or Art without Science. The combination of both is not an option but a necessity. Knowledge and its expression must coexist. As a researcher and an artist I use my artistic work as way to explain and disseminate science with an emphasis on the aesthetics dimension. In general, my works normally discuss conceptual excesses, melancholy, wonder, reflection and sensitive violence. This labor arises from the pursuit of scientific objectivity, but expressed figuratively through experiential subjectivity. The pieces Journey Of and From the Mind and Bounded Rationality are a good example of that. A few months ago I had the opportunity of visiting for a couple of weeks the Max Planck Institute in Berlin. A really nice experience for young researchers from around the world to present our research on decision-making and behavioral science. 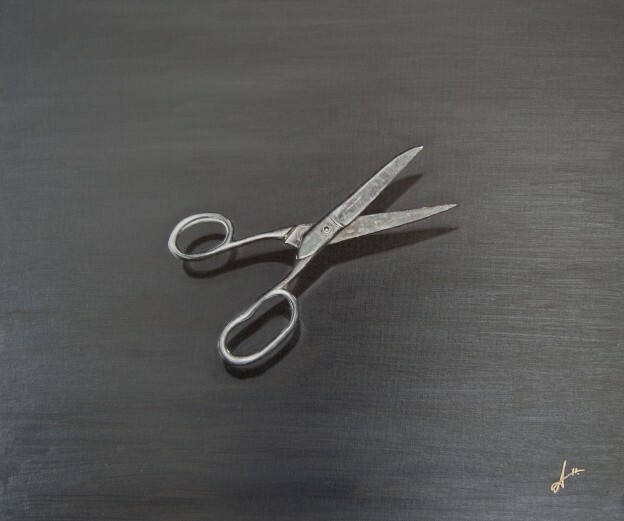 That stage inspired me to paint Bounded Rationality, a tribute painting to the Max Planck Institute displaying a pair of metallic scissors suspended in the air. Why? There is a concept in our field of research that we call bounded rationality, which is the idea that when individuals make decisions, their rationality is limited by the available information, the tractability of the decision problem, the cognitive limitations of their minds and the time available to make the decision. Decision-makers in this view act as satisfiers, seeking a satisfactory solution rather than an optimal one. Herbert A. Simon, a leading academic in the field used the analogy/metaphor of a pair of scissors, where one blade represents “cognitive limitations” of actual humans and the other the “structures of the environment”, illustrating how minds compensate for limited resources by exploiting known structural regularity in the environment. This is a clear example of a painting that is scientific, illustrative and provocative. In your view, what is the relationship between memory and the creative process? AB-D: The definition and concept of creativity is volatile. And is much more capricious if we trespass human frontiers. During the last week of May 2016, in the ‘Creative Reactions’ exhibition in London, I faced and compete with an Artificial Intelligence Agent with creative capabilities. Which of the two was going to be considered more creative? And how to scientifically measure this perception? This exhibition made me reflect on the relationship between memory (and its cognitive processes) and the creative practice. What is the potential of machine art, and can it truly be described as creative or imaginative? Technology is more than just apps and gadgets; it’s profoundly changing the very ways humans express themselves. The machine was called ‘The Painting Fool’ and is a computer programme that one day hopes to be taken seriously as an independent, creative artist. He has been trained for more than a decade to produce artworks and poems by his teacher, Prof. Simon Colton. Simon is Professor in Digital Games Technologies at Falmouth University, Professor in Computational Creativity at Goldsmiths and EPSRC Leadership Fellow. The machine uses a mixture of machine learning, machine vision, artificial intelligence and computational creativity software to exhibit behaviours that involve skill, appreciation, imagination, intentionality, accountability and learning. He has exhibited art in London, Paris, Lisbon and Brussels and has demonstrated his painting abilities in many places such as the Cité des Sciences in Paris and the Science Museum in London. He has various modes in which he paints – perhaps the most interesting is when he is reading the newspaper and he tries to paint portraits which reflect the mood that the news articles put his in. 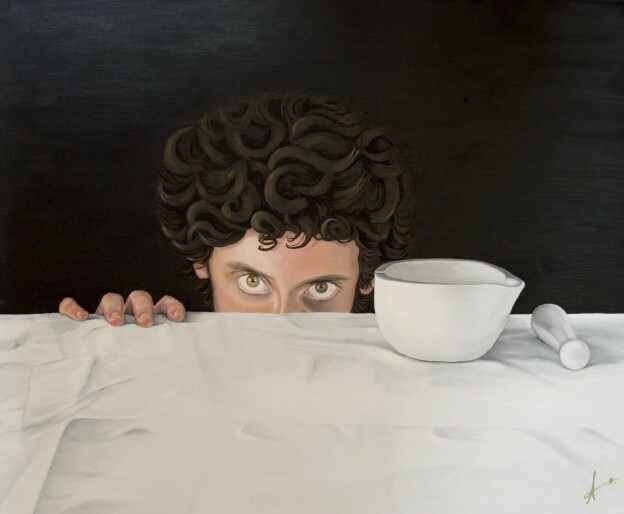 His most recent paintings involve inventing his own painting style in response to the subject matter he is painting. 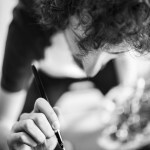 One of the most critical points is that he is constantly evolving as an artist. What I produced for the exhibition was a provocative new piece: Basket of CPUs. Salvador Dalí painted ‘Basket of Bread’ in 1945. 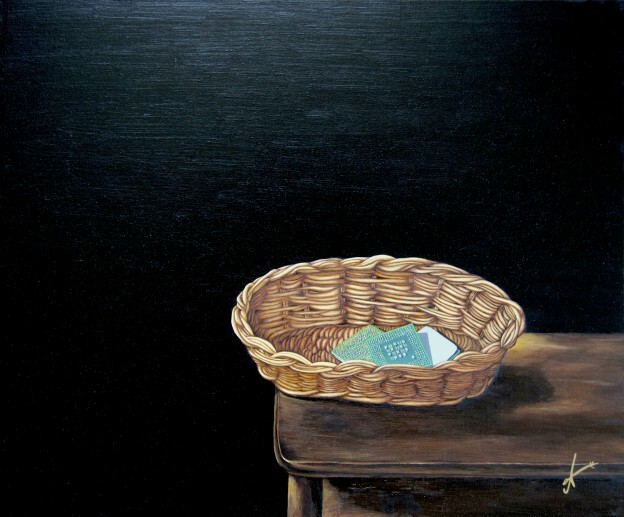 The painting depicted a heel of a loaf bread in a basket, precariously situated on the edge of an uncovered table, against a starkly black backdrop, an omen to its own sacrificial destruction. This environment created the mystical, paroxysmic feeling of a situation beyond our ordinary notion of the real. ‘Basket of CPUs’ is a reinterpretation of Dalí’s painting in our Digital Age. Here, CPUs are depicted as “The New Bread”. A Central Processing Unit (CPU) is the electronic circuitry that carries out the instructions of a computer program by performing the basic arithmetic, logical, control and input/output operations specified by the instructions. Timeless Perception or LOVE (2015), Photography from the collection: Brain Moments. Our human brains interpret information through pattern recognition and re-arranging pattern, which is an evolving dynamic process. What importance does pattern play in your work (both academic and artistic)? AB-D: Patterns are everywhere. 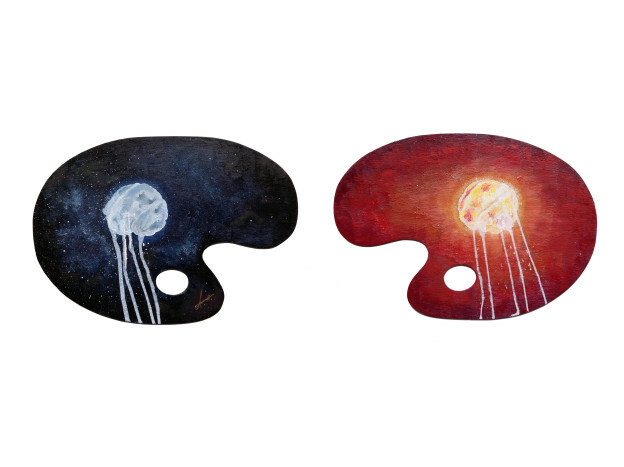 My job as a scientist is to find and understand them; and as an artist is to paint them. Lately, and in relation to the previous question, I have been reflecting a lot on whether an Artificial Intelligent Agent (with computational creativity abilities) will be ever considered as creative as a human being. To Forget (?) 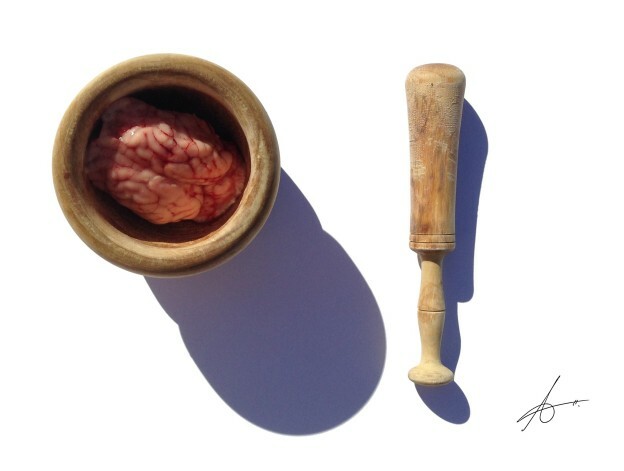 (2015), Photography from the collection: Brain Moments. Some machines are already better than us in finding, exploring and predicting patterns. And in the near future, we know they have the potential to surpass our capabilities in this regard. Thus, the unresolved questions about machine art are, first, what its potential is and, second, whether–irrespective of the quality of the work produced–it can truly be described as creative or imaginative (due to this ability to find and exploit new complex patterns that we humans cannot perceive or simulate). These are problems, profound and fascinating, that take us deep into the ambiguities of human art-making. 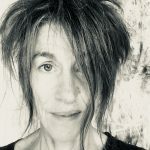 And my experience tells me that artificial intelligence offers the artist something beyond an assistant or pupil: a new creative collaborator, not a competitor. AB-D: A pillow. My first memory is from a little pillow. I use to go everywhere with it. I do not remember it as an object but more as a concept and as a texture. If you put 100 pillows in front of me right now, I am sure I could be able to tell you, blindfolded, which one was the one I had when I was a baby, just by touching it.